Last call to fill out the Round 4 Poll! aroberuka, wind_and_sage, magical_sid, nothfan23, personality_disorder, & summerstorm, you are in danger of being cut from the comm. If that's what you want, great. If not, please fill out the poll by tonight! EDIT; Cuts have been made. If you cannot see this post you have been cut. Feel free to sign up again any time. Any members who did not participate at all in Round 2 have been cut from the comm. If you cannot see this post you have been cut. If I cut you by accident, please just let me know. If you did not participate last round but would like to join us for next round, please go to the sign-up post and sign up again. Member maintenance has been finished. If you cannot see this post, you have been cut. However, remember you are welcome to reapply at any time. Additionally, if you do NOT plan on staying for Round 7, please let me know (the comments here are screened), so I can make sure new members are placed to even out teams. Also, if you would like to switch teams, please let me know that too! Remember, Round 7 starts Friday, August 12. Hello, everyone! Member cuts for Round 6 have been completed. If I accidentally cut you or you wish to stay, please comment here. Former members are always welcome to sign up again. Member cuts have been completed. You are welcome to reapply at any time. ROUND 5 BEGINS OCTOBER 2! Member cuts have been completed. If you've been cut, you are always welcome to re-apply at any time. Also, if you are a current member and I've done something wonky to your membership status, just let me know! Hey, everyone! Since this is a community of creative people- and since I know at least one LOM member besides myself has been effected by this, I figured I'd share. There is a sleazy website, fanfic-journal.com, that is ripping any public LJ entry with a tag of "fanfic," "fanfiction," or anything similar and posting it directly to their own website- conveniently neglecting to ask the original authors for permission and to credit the original authors in any way. It seems like Once Upon A Time is a fandom that this jerk-off has targeted specifically, so if this kind of stuff bothers you, I urge you to check out the site and then complain here. Since the authors are not credited, I'm comparing my fic journal to the website by the date since they're ripped usually the same day. It's also important to note that ANY LJ entry tagged as fanfic is being posted there, so if you've posted about how you want to write something or some idea you had or even if the post was 90% personal and you threw in something about your fic (then tagged it "fic"), it's there, for everyone to see. I hope you guys and your works haven't been violated, but just in case, be on the look out! Inactive member cuts have been completed. If you cannot see this post, then you have been cut from the lands_of_magic communities. If you would like to continue on in the comm, you are welcome to reapply at the Sign Up post. If you have a community based on Once Upon A Time or are another challenge community and would like to affiliate with lands_of_magic, please comment here and we'll add you to our list! Welcome to lands_of_magic, an interactive challenge community. For our first 3 rounds, we focused solely on Once Upon A Time and Once Upon A Time In Wonderland, but starting with Round 4 (which began on June 12, 2015), we are now a multi-fandom challenge comm, specializing in magical, supernatural, sci-fi, horror, and super hero fandoms. If you're interested in joining, please make sure to take a look at our rules and then fill out the survey below! Round 8 is currently underway (April 7- August 4, 2017). To be assigned to one of our teams ( the_summercourt and the_wintercourt), you must fill out the survey HERE. You will usually be given your first choice of team unless the teams get wildly out of proportion. If there are any special circumstances (for example: you really, really want to be on the same team as an existing member), please make sure to mention it in the “Anything Else” section of the survey. When you’re accepted into the community, a mod will respond to your comment with some basic information, and you will be invited to join lands_of_magic and its sub-communities. Please do not attempt to join the comms; new members will only be accepted through the invitation system, so please be patient. If you have any issues at all with the application and acceptance procedure, please do not hesitate to contact the mods, either by responding to your original application comment thread or at this post. As of Round 6, lands_of_magic will focus on fandoms pertaining to fantasy, science fiction, super heroes, and horror. Any media in which the main plot is driven by any of those genres is acceptable except for documentaries or reality programming (for example: Alien Autopsy, Ancient Aliens, Face Off, Ghost Hunters, etc). If something is usually categorized as a different genre (most usually comedy) but has a plot which revolves around fantasy, science fiction, super heroes, or horror, and would fall apart if those elements were eliminated, it is acceptable (for example: Ghostbusters, Galaxy Quest, Your Highness, The Devil's Advocate, The Haunted Mansion, etc). Round 6 is scheduled to run from February 12, 2016- June 10, 2016, and we will have 20 challenges all together, most starting on Fridays. Most challenges will be open for at least a week (the voting phase of any contest will be open for at least 3 days), though some may last longer. All due dates will be given with the details of each individual challenge. » » Signature Tags. Signature tags are 300px by 150px graphic banners which have your name and your team on them. If you use one when submitting your entries, you’ll receive an extra point. 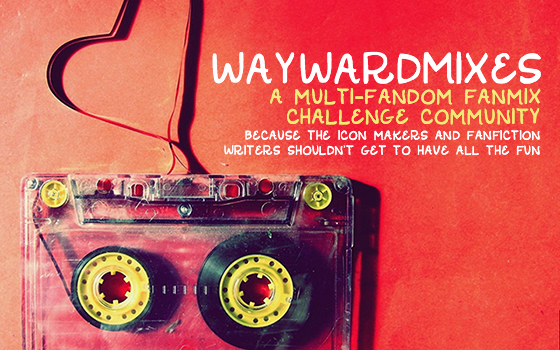 Acceptable fandoms for sig tags can be found here. » » Fanworks. An exciting aspect of lands_of_magic is our creative community, mount_helikon. Here, you may post- and receive points for fanworks you’ve created. mount_helikon has its own rules and points structure, so make sure to read the rules there before you post. » » All of your work must be posted on Livejournal. Do not use other sites, such as Tumblr or Dreamwidth to post your entries to challenges.